100 hours Yin Yoga Teacher Training based on the works of Yin Yoga founder, Paul Grilley, in a fusion with Chinese medicine and self-empowerment work. Adapting Yin Yoga based on seasons and individual needs etc. This education is aimed at those who want to create an in-depth understanding of Yin Yoga and wish to teach this method. 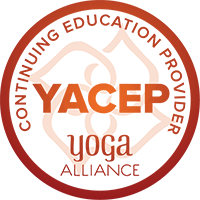 The aim is that you, after this education, feel safe with Yin Yoga as a method and that the knowledge is available for applying its principles in your own practice and teaching. 100 % attendance is required. Package deal for rooms and meals, double or single occupancy.